Grimm's fairy tales have been the source of a fair bit of fascination for me ever since I was a teenager. That was around the point where I found out that the stories that I was told as a child were really quite sanitised and comparably tame to their original sources. And the source for quite a lot of these tales, at least in their written forms, was the Brothers Grimm. So, when I saw a book touted as the complete works, I picked it up mainly to see what I missed as a child. I can't really say that many of the tales in there were new to me. As there were 279 noted in the contents, I was hoping that there would be a lot of new tales that would surprise me. Admittedly there were some new tales, but it seemed to be that a lot of them were more the result of mixing and matching elements used in other tales. Possibly this is a result of them being passed down by word of mouth, but when there are at least four different stories where the princess wins back her unfaithful/enchanted betrothed by bribing his new bride with pretty dresses and weeping outside his bedroom, then there seems little point in listing every single one of them within the collection. Really though, I think this is as much my own heightened expectations interfering with my reading of it. While there were some tales that seemed so similar that they might as well be the same thing, there was enough variety to keep my interest up. One of the things that was really noticeable was the weird mix of themes. 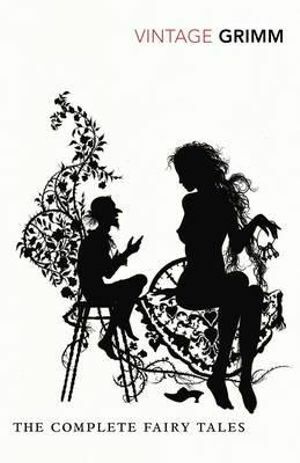 I was always taught that fairy tales were a method of teaching children moral lessons, so the fact that there seemed to be two main lessons that were taught and conflicted with one another. The first was that if you are hard-working and virtuous then God will send good fortune your way, and if you are likewise mean-spirited and lazy then your cruelty will come back to hurt you later. The second was that if you want to get ahead in life, you should rely on your wits and a little bit of luck. While the two lessons needn't be mutually exclusive, more often than not the protagonists from the second type of story wouldn't necessarily be the sort of sweet, good hero or heroine that you would necessarily want to see succeed. I'm not even going to get into the stories that seemed to have neither moral nor point; these are few and far between, but very confusing when they do occur. The main thing that I can see putting people off is the anti-Semitism. Fortunately it doesn't turn up all that often, but when it does appear in stories like “The Jew in the Thornbush” it hits you like a Glasgow kiss. It really isn't subtle. I had an inkling that there might be some attitudes present that aren't so well tolerated now and my basic knowledge of German history gives me a bit of contextual background, but that really doesn't make it any easier to read. I would say that if you're really bothered by this particular brand of discrimination, then you may wish to be very careful when reading this. If a Jew appears, the likelihood is that things won't go well for him, so it's at least easy enough to avoid if you're truly determined to read this collection.